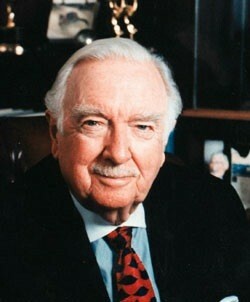 Walter Cronkite was a famous TV reporter in Houston ,Texas.He was born November 4 ,1916.On July 17 ,2009 he died. During his childhood he played piano in his house most of the time. What do you think about Walter and his actions? Was Walter a good man? How did he die? What do people think about him? How did he get the job? Is he a good person?